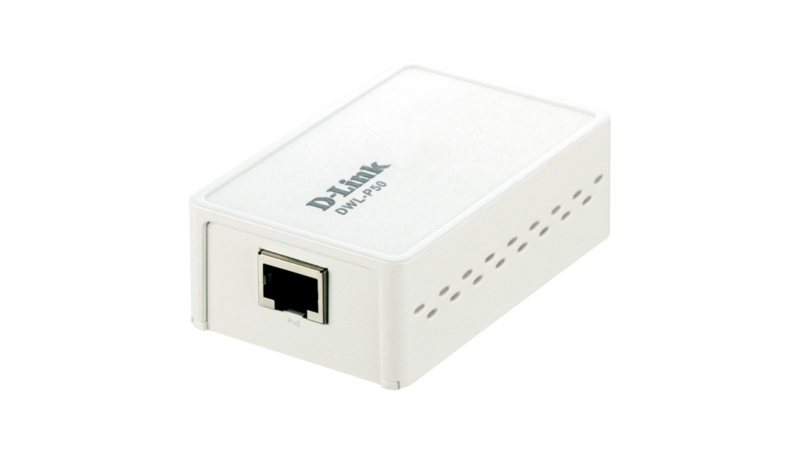 The DWL-P50 Power over Ethernet adapter is a single-port splitter that provides DC power for a non-PoE-equipped device, such as a surveillance camera or a wireless access point. 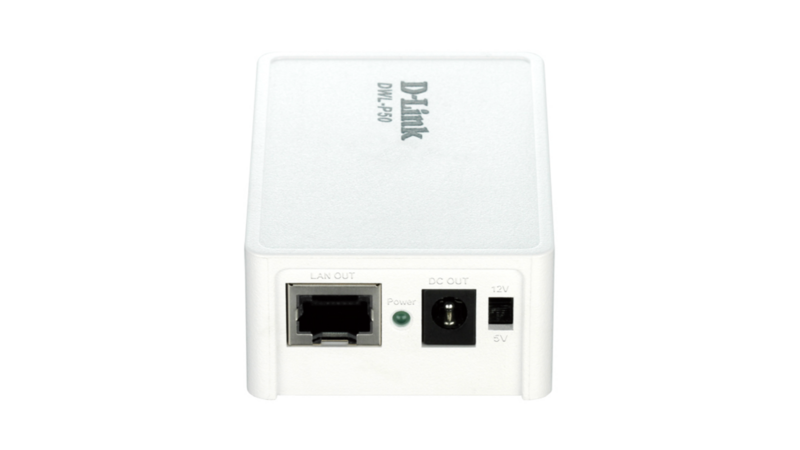 It is designed to operate with LAN switches and other equipment that support industry-standard 802.3af Power over Ethernet (PoE) to deliver operation power to the networked device, allowing you to install the device at places such as on a rooftop or near a ceiling, where power is not easily accessible. The DWL-P50 supports both 5VDC and 12VDC power and can be flexibly deployed with network devices with different power voltage requirements. The DWL-P50 is useful for installation at a factory or TM Wi-Fi hot spot. This compact adapter allows you to install your surveillance cameras and wireless LAN devices on a building rooftop, on or near a ceiling for maximum coverage. Your cameras or wireless access points can be placed up to 100 meters away from a power source. It is at these places that wall AC outlets are inaccessible and providing power to these locations is difficult and expensive. 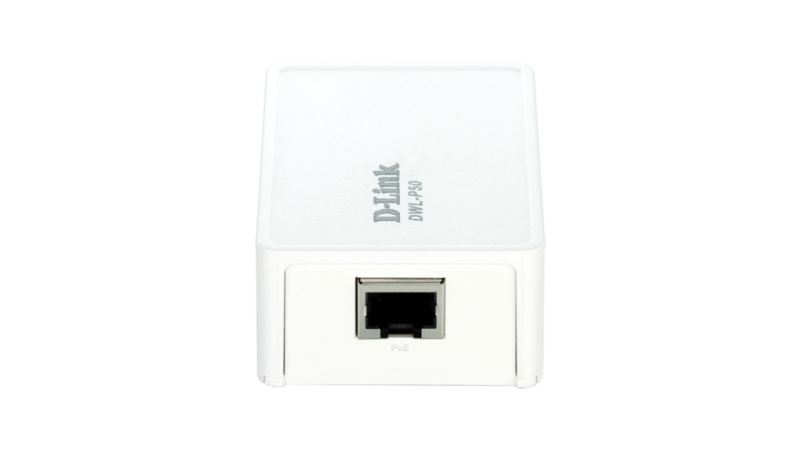 The DWL-P50 is also handy for installation at offices with Internet telephones connected to a PoE Ethernet switch. It eliminates the need to individually power each IP phone. By transmitting remote power through the standard network cabling, the DWL-P50 does away with the need for an AC outlet at each device location. Only a single Ethernet cable is run to each device instead of separate power and data cables. On a standard 4-wire UTP Category 5 cable, only two pairs (pins 1, 2, 3 and 6) are used for Ethernet data transfer. At one end, your PoE Ethernet switch inserts DC voltage into the unused wires, taking advantage of the unused pair of the network cable wires. At the other end, the DWL-P50 taps the DC power from the Ethernet cable for use by the non-PoE device. Consequently, a single Category 5 cable can now carry both Ethernet data and DC power. The idea is to supply the remote end with power and Ethernet connectivity via a single network cable. In addition to eliminating the need for additional, separate wiring for power, the DWL-P50 is also a useful tool that forms part of your centralized power network installation. A central UPS can be added to the PoE switch, to which all your wireless access points, surveillance cameras and Internet phones are connected. This installation provides uninterrupted power without the need to deploy a separate UPS for each device. The DWL-P50 is very small in size and lightweight and requires no configuration setting. It is designed for quick and easy deployment, and can be hooked with a simple plug to a network device placed on a high wall or ceiling. This PoE adapter supports both 5V and 12V DC output, allowing you to deploy it with a variety of devices with different power requirements. A built-in slide switch allows you select the required power output.